Long rectangular-plan gabled range with flank to street. Egyptian-derived entrance set forward central; contrasting green and white tiles and white harl; arched wide open entrance, pair lotus bud columns, flanking square turrets with octagonal ogee-domed drums enclosed by parapets, open-worked balcony at mid-wall height extends either side, towards lesser porch at right; gabled range has tiled roof, tile-clad E gable head with flat-roofed shallow range abutting. 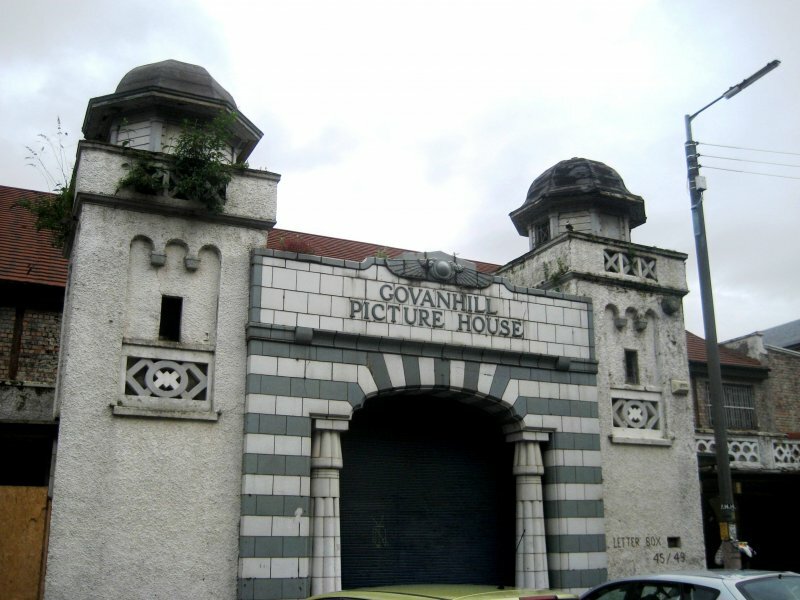 An unusual Egyptian inspired design, the former Govanhill Picture House seated 1,200. It is one of only a handful of Egyptian-themed cinemas in the UK. Although described as having stalls and balcony, the front 'balcony' came right down to the sear of the 'stalls' level, with a wooden dividing wall to keep the separate areas apart. It was sold to ABC in 1929 and the cinema remained in use until 1961 when the last film, "Song Without End" was run. 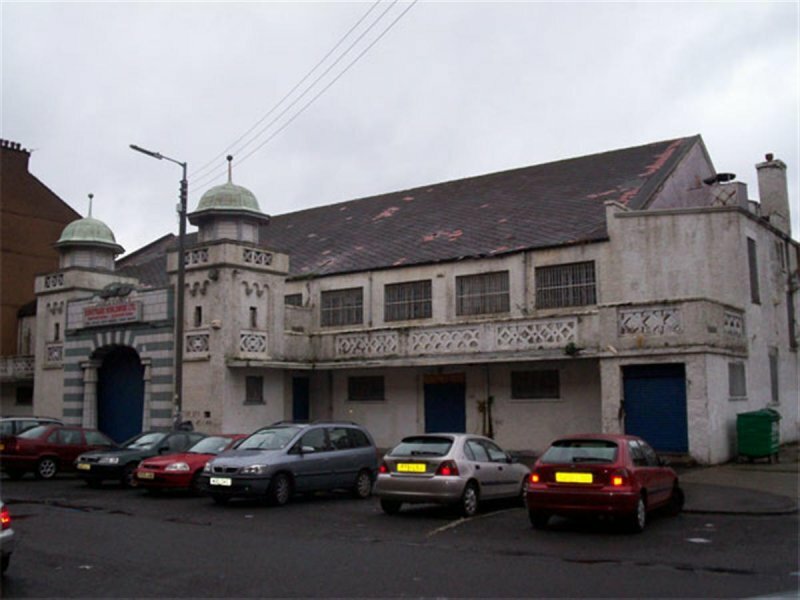 The building subsequently became a bingo hall, then a warehouse. The Cinema Theatre Association website notes that planning permission for a façade retention with flats to the rear was granted in 2007. July 1996: Local planners report that the building is now in need of a new use. The last film was shown in May 1961 and since then the original interior has been lost, with the building operating as a shoe warehouse. January 2002: Local planners report that the property is now in use as a furtiture outlet. 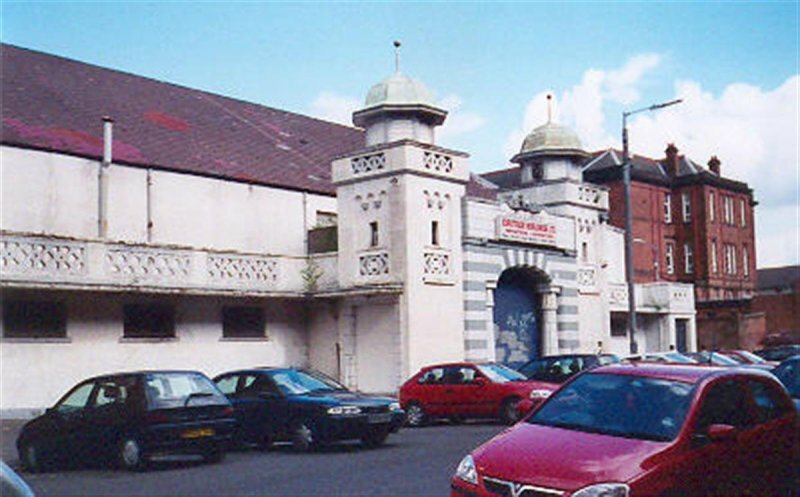 September 2002: Local planners report that the building is once more unoccupied. August 2004: External inspection reveals the building to be vacant and in deteriorating condition. 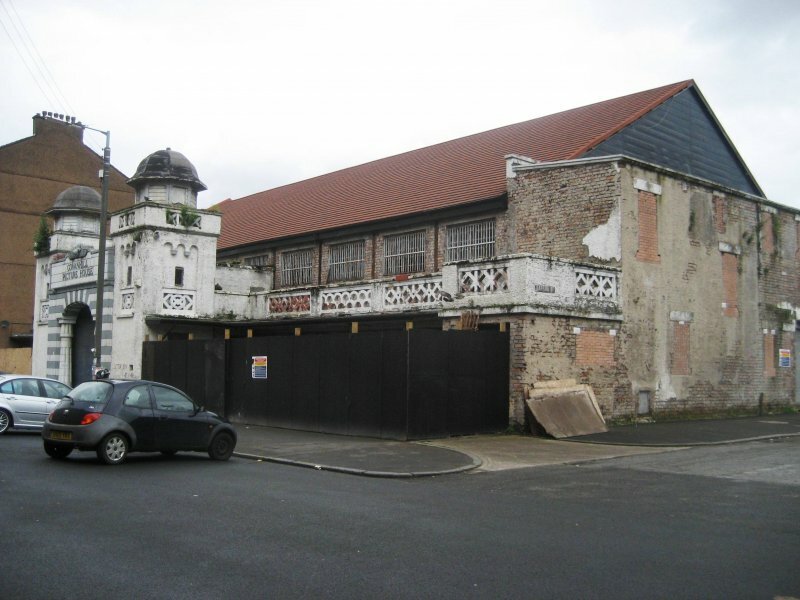 October 2006: An application has been submitted to demolish this building and erect 48 flats on the cleared site. 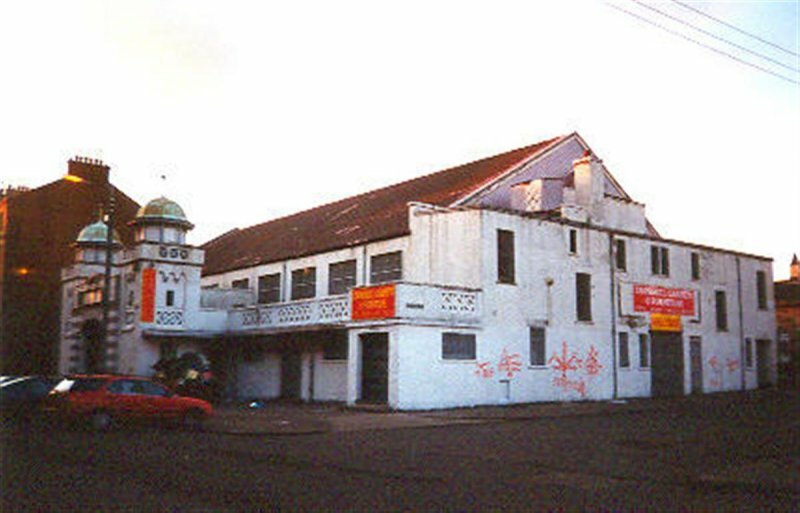 November 2006: SCT is made aware that The Twentieth Century Society have submitted an objection to the above application, the objection notes that the cinema is of the rare surviving example of an Egyptian style cinema, of which only a handful are though to exist worldwide. 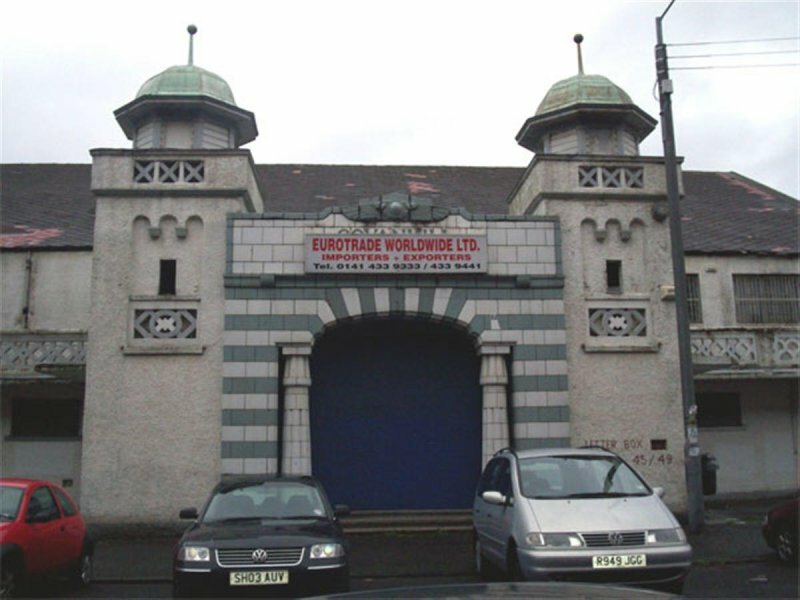 November 2006: SCT submits an objection to the application to demolish. 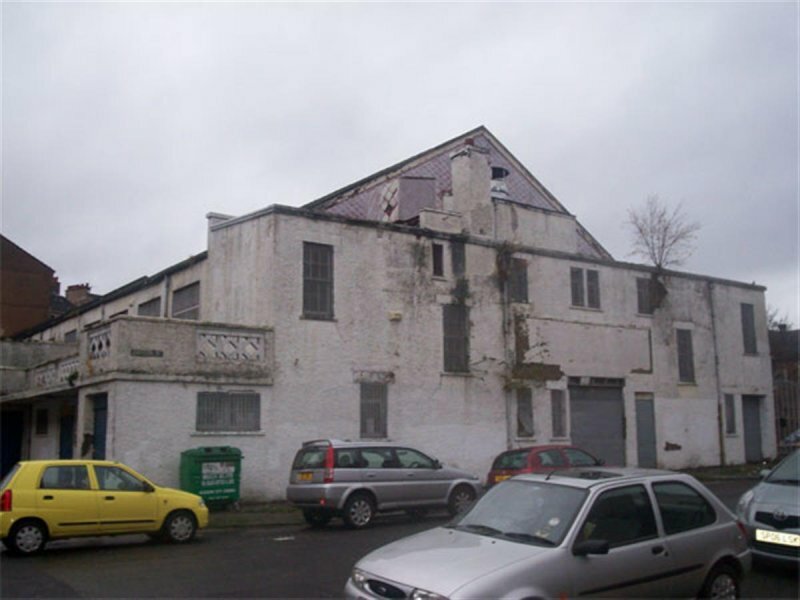 April 2007: The Evening Times reports that Councillors have given approval to plans for partial demolition and conversion into a five storey, 43 flat development. The articles goes on to report that a total of 32 objections to plans were noted. December 2007: External inspection reveals approximately 10% of the tiles are missing from the roof, there are also some, as yet, small holes. The harling is coming away in several places. Some of the window glazing panes are smashed. 11 June 2012: A member of the public advises works to reinstate the roof are now underway - the building is reported to have suffered the theft of copper cladding from the turrets. 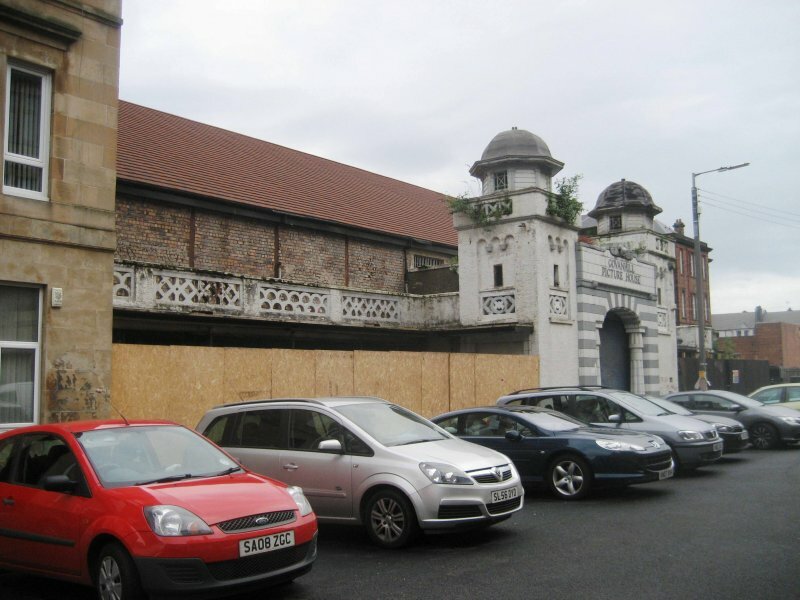 20 November 2013: Local planners advise Listed Building Consent for conversion of the former cinema to a market/ cafe with function suite were conditionally approved Juky 2012 ref: 12/00958/LBC. 10 June 2014: External inspection finds signs of recent construction/ stripping out works evident. Hoarding is in place to the ground floorr. Cupola roofs are deteriorating and where render has failed brick walls are deteriorating significantly. A section of the building to the rear may be in use as storage space. Louden (1983), pp61-62; Williamson, Riches and Higgs (1990), pp525-526.